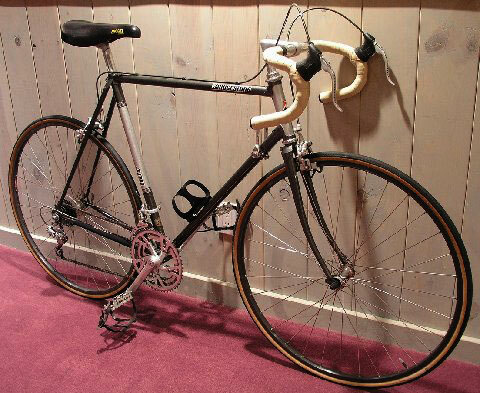 Entire Frame Made From Ishiwata Triple Butted 4130 Cro-Mo Steel Tubing This Bike Rides Beautifully and is in Superb Condition with Many Upgrades! 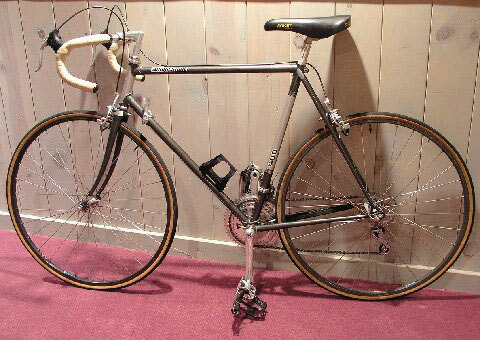 A Classic Designed by Grant Peterson and Made in Japan The Bridgestone 400 is a high quality all-around road and sport touring bike. It features a proven Ishiwata triple butted 4130 steel frame, relaxed geometry for a more upright riding posture and a triple crank to help beat the hills. This Bridgestone 400 is in superb condition with hardly any wear and has been meticulously cleaned, lubed and adjusted. The original two tone metallic charcoal gray and silver paint is almost flawless and without touchups. Even the decals are excellent. Many key components have been upgraded from the original to enhance its riding capabilities. First, the original 27" wheels have been replaced with USA made Matrix 700c Heat Treated Titan-Tech 32 hole rims, mated to silky smooth Shimano RX100 hubs. 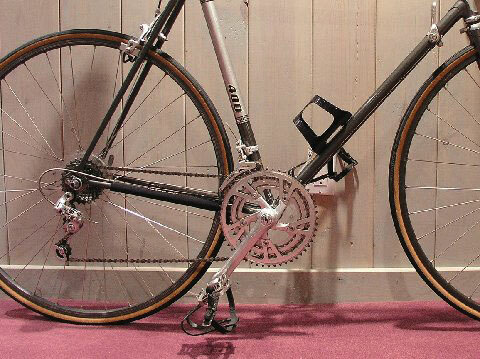 The cassette is now a Shimano HG70 13-26 7-Speed. The pedals have been upgraded to Suntour XC Pro Greaseguard with Cateye Mountain Bike Toe Clips and Mt. Christophe straps. 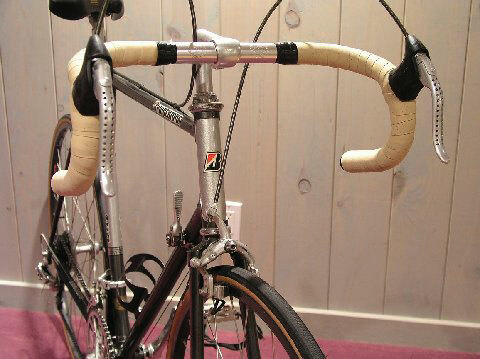 The saddle is a non-stock, very comfortable leather Avocet Racing 1 and the seatpost is an SR Laprade. 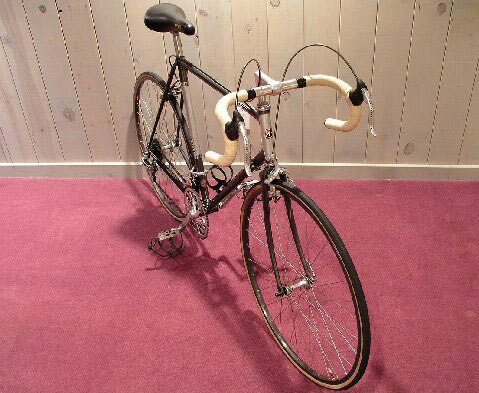 Instead of a traditional bottle cage, a Ringle cage was added for its light weight and appealing good looks.